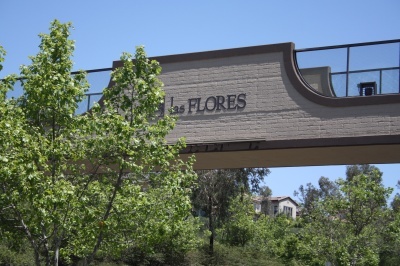 Las Flores is a master planned community part of Rancho Santa Margarita, located near the intersection of Oso Parkway and Antonio Parkway, close to Mission Viejo and Ladera Ranch, with beautiful homes and condos thats were built in the late ninety's and with about 6000 residents. 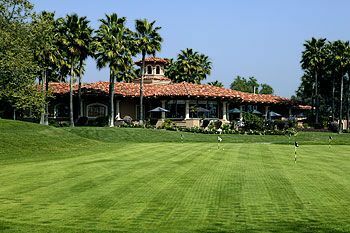 Las Flores homes are bordered by nature preserves and the Tijeras Creek Golf Course and here's where the The Rancho Santa Margarita dog/skate park is located. Search all Las Flores homes currently available for sale listed in the MLS. For more information about any of these homes please contact us by email or call us at (949) 888-6788. Read more about the Las Flores Real Estate options. A Stunningly Gorgeous 5 BR Plus Spacious Loft, 3.5 BA In Fabulous ”Vista Pointe Estates” Tract On A Premium Quiet Lot On A Double CDS Street Offering Fantastic Unobstructed Panoramic View. 1 BR & Full BA + Powder Room On Main Floor. Beautiful Travertine T/O 1st Floor, Custom Plantation Shutters, Custom Baseboards Throughout the House. Large Bright Kitchen Features Granite Counter tops & Back Splash, Center Island & Walk-in Pantry. Located in the highly sought after Las Flores neighborhood. This fabulous property is with lots of upgrades. New exterior paint. Formal living room, formal dining room, family room with high ceiling. Gourmet kitchen with stainless steel appliances, granite counter tops, center island and a sunny breakfast nook. Master suite with a walk in closet and a remodeled master bath with separate shower and tub. Secondary bedrooms are generous in size. The Real Estate options in the Las Flores community are diverse, you can find affordable condos and modest homes to beatiful larger single family residences boasting over 4000 sq ft in size. All the homes are tract homes, and the neighborhoods share a swimming pool , spa and a tot lot. Several schools can also be found in this community, like Las Flores Elementary and Middle schools. An interesting fact about Las Flores, is that all the homes have mello-roos. Although is not as high as neighboring Ladera Ranch, it may bother some buyers. The neighborhoods are Avelino, Bel Flora, California Somerset, Greystone Arbor, Magnolia, Sea Country, Springfield, Summit at las Flores, Sundance, Traditions, Veranda, Vista Point Estates, Warmington and Wyngate. OCExecutives specializes in real estate transactions of Las Flores communities in Rancho Santa Margarita, California real estate for sale. Contact us today to sell real estate or buy real estate in the Las Flores community. For more information about any of these Las Flores Homes, please contact us. Or if you would like to see a list of other communities follow the links above, or clck here for other Rancho Santa Margarita Homes for sale.